Bees are vitally important pollinators. They are imported in droves to pollinate blueberries, almonds and other tree nuts as well as many types of the produce we eat every day. Here are some fun facts about bees to tickle your thinking caps. 1. Bees evolved from the wasps of the family crabronidae. 2. Bees can be found on every continent except Antarctica. 3. Bees are great dancers, check out the difference between honey bees’ waggle dance and their round dance? When a food source is very close to the hive (less than 50 meters), a forager performs a round dance. She does so by running around in narrow circles, suddenly reversing direction to her original course. A round dance, therefore, communicates distance (“close to the hive,” in this example), but not direction. The waggle dance (Figure 2), or wag-tail dance, is performed by bees foraging at food sources that are more than 150 meters from the hive. This dance, unlike the round dance, communicates both distance and direction. 4. Honey bees can be trained to detect explosives. 5. 70% of the top 100 human foods, which supply about 90% of the world’s nutrition, are reliant on insect pollination? 6. Alexander the Great, the famous king who ruled the ancient world’s largest Western empire and had his corpse mellified, preserved in honey. 7. Bumblebee colonies are often placed in greenhouse tomato production, because the frequency of buzzing that a bumblebee exhibits effectively releases tomato pollen. 8. Apiphobia is the extreme and irrational fear of bees or bee stings. 9. Swarming is the honey bee’s method of colony reproduction. The old queen and about half of the worker bees leave their former nest and seek a new home. 10. Propolis or bee glue is a sticky, resinous mixture that honey bees from trees. It is used as a sealant for unwanted open spaces in the hive. Propolis is also used in wood finishes, and is thought to give a Stradivarius violin its unique red color. When I first saw this tomato, I was immediately intrigued by its color. The purple-ish, black pigment is due to a naturally occurring color compound called anthocyanin. The anthocyanins in the purple skin boast high levels of disease-fighting compounds that help fight cancer, reduce inflammation, and slow the aging process. The purple coloring occurs on the portion of the fruit that is exposed to light, while the shaded portion starts out green and turns deep red when mature. Allow fruits to mature completely for best flavor. Bred at Oregon State University. Heavy yielder. 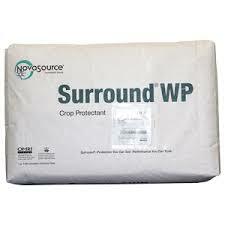 Plants are resistant to early blight. This amazing pepper is perfect for mole sauce making. Similar to pasilla peppers these gourmet quality, chocolate brown fruits are bright green at early maturity, then darken to warm brown over the next 2 weeks. These long and thin peppers can reach 7 to 9" in length and 1-1/2" in width. Sturdy 3 ft. plants produce multiple harvests. Early crops are most often sliced for toppings and baking, while the dark brown, fully mature fruits can be dried and ground. I am eating these peppers fresh in salads and I do not think I am using them to their full potential. I don't know how to make mole, I guess I better start learning. Hungarian hot wax may look like a mild banana pepper, but really it has a lot more bite. In terms of spiciness, this is supposed to be a bit spicier than a jalapeno but the ones we picked were not very spicy at all. My 9-year-old son took a bite and shrugged it off. Maybe the cool spring led to the sub-par heat levels. In any case, this was a beautiful pepper plant. Compact with little foliage and lot and lots of peppers. I had to stake this plant since the peppers were so heavy on it. The range of colors of this pepper was beautiful, from a light yellow to a beautiful tangerine orange.This is a great chili for all sorts of cooking, roasting or grilling and a popular one to top off a salad with or to pickle. 70 days. These tomatoes have an attractive port wine colored flesh and skin. The color is a cross between chocolate and Cabernet Sauvignon. I adore the color but I find it is difficult to figure out when it is fully ripe. I personally give them a little squeeze, to check for ripeness. The super productive, indeterminate plants produce trusses of 1 inch round fruit. This plant produces fruit that are a little bigger than the average cherry tomato, here they are next to Sunold and Sweet Million. Chocolate Cherry is much larger and just as delicious, I would label it a tangy tomato, I did not find it as sweet as Sweet Million but it was fleshy enough to make a delicious and tangy tomato sauce. I love trying out new varieties of veggies to grow and rotate my cultivars yearly. This pepper is totally new to me but looked gorgeous on the plant tag. Even though we had a late start to the season, my chilis have done well. This chile plant produces good yields of 6" to 8" long by 1½" wide hot peppers. Peppers are said to be very mild, just a little heat, but I found them to be medium spicy. I took bites from the pepper when I ate my meals and loved the herbaceous flavor and crunch. The heat dissipates quickly so it won't burn for long. The peppers turn from green to red when mature but can be picked and eaten at any time. The plant has green stems, green leaves, and white flowers. Excellent for salads, pizza, and grilling. Valencia has round, smooth fruit with a brilliant orange uniform color. 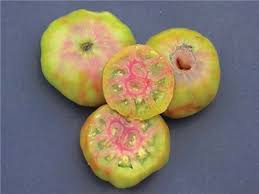 It is a midseason indeterminate tomato that grows well in northern and cooler climates (about 76 days). It is a family heirloom from Maine. Some say it is called “Valencia” because it looks like a Valencia orange, while others suspect it came from Valencia, Spain.Yet it is hard to find and is a threatened variety. I did find many good looking plants at my local hardware store. The tomato has an excellent, full, complex tomato taste, with a great balance of acidic and sweet. It is fleshy and meaty with few seeds. I adore tomatoes with thick walls and few seeds. This variety is a sure winner. Did You Know? 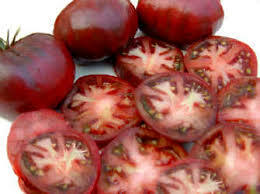 Tomatoes are native to Central and South America and were originally thought to be inedible when introduced in Europe. If you love the flavor of jalapeños and want an even milder version of the original, try the mild cultivar, sometimes sold a “coolapeño”. Named after the town of Jalapa, Mexico, this is the most popular chile pepper in the United States. Jalapeño produces 3-inch, thick-walled, moderately hot pods with deep green color that matures to a bright red. Sometimes there are hints of black or purple on the skin as well. 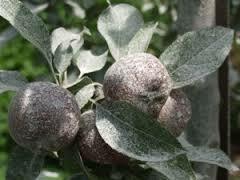 The skin may show a netting pattern as fruit ages, but it does not affect flavor. Harvest jalapeno peppers by pinching them carefully from the stem when they are firm. Jalapeño plants yield a bountiful harvest in dry or humid, hot or cool climates. The compact plants grow well in containers. The jalapeño is pretty much the perfect amount of heat for those that like a little kick, but don’t want to challenge their taste buds to a duel. This is truly a pepper that’s found its niche, and it’s got big time fans all over the world. 70 days. An heirloom from Irkutsk, Siberia. This medium sized tomato was easy to grow and quick to ripen, it ripened at the same time as our cherry tomatoes and before all other tomatoes. Being from Siberia, Black Prince does well in cooler summer climates. We have had a hot couple of weeks and I found that in hot weather this tomato can get soft on you. Check it every day as it starts to ripen. The plant itself was not too sprawling or unruly, decent lush growth but controllable. The fruit itself was round and heart-shaped not really black but a cool camo color, a mix of red, green and brown. This was an amazing first tomato for our family, the husband, kids, and grandparents gobbled them right up. The fruit tasted like "a real tomato" should: juicy, tangy and sweet, all in perfect harmony. This early ripening tomato will be a staple in our garden for years to come. The current "hot and cool" (meaning interesting and trendy) vegetables to grow right now are tomatoes. They are all the rage at farmer's markets, their gnarled lobes and wild colors are eye-catching and curious. I am only recently discovering these new-to-me but often "old" varieties that have been cultivated for sometimes over a hundred years. I worry that many of these amazing cultivars don't have much disease resistance but the fear is overcome by the sheer anticipation deliciousness. Here is a short list of the tomatoes I am growing this year. Look for harvest updates and taste testing later in the season. Black Sea Man- 75 days from transplant. A Russian variety from Russian seedswoman Marina Danilenko. Small plants produce medium-sized brownish-pink fruits with olive green shading. Potato leaf foliage. 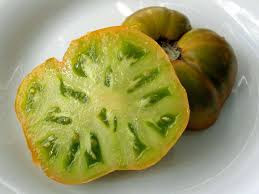 Inside of tomato is deep, reddish green and loaded with excellent, full-bodied, complex, intense, creamy tomato flavors. This is an outstanding tomato for sandwiches and salads. Black Sea Man heirloom tomato does well growing in mid-sized containers. Auntie Great Green German- 80-95 days from transplant. Big, sweet beefsteaks, bursting with a fragrant, complex, spicy-sweetness with a touch of tang, much tastier than many red tomatoes. A gorgeous green-when-ripe color, this much sought after variety is a real treat to have in your garden and is said to be the very best tasting green. Reaching an average of 1 lb, Aunt Ruby's German Green grows in clusters of 2 or 3. This family heirloom from Germany is beautiful. Family heirloom from Ruby Arnold of Greeneville, Tennessee. Introduced to SSE in 1993 by Bill Minkey of Darien, Wisconsin. Indeterminate. Purple Cherokee-See this link in a past blog post about Cherokee Purple. Ananas Noir-Also called Black Pineapple. 85 days. A most exciting tomato, it is wonderful in every way. This unusual variety was developed by Pascal Moreau, a horticulturist from Belgium. The skin has streaks of pink, purple, red, gold and green flesh. Everyone loves their flavor. The lip smacking flavor starts out sweet and ends with the perfect amount of tang. What's more, the sprawling indeterminate plant yields a tremendous amount of 1 1/2 pound fruits. Chocolate Sprinkles-Hybrid. 70 days. This cherry tomato has it all: good looks, great flavor, heavy yields, and disease resistance. Bite-sized, cherry-type fruits are beautifully colored — red striped with dark green — that explode with rich, robust flavor. These elongated, bite-sized tomatoes have striking, forest green streaks over deep coppery-red and a delightfully sweet taste. This highly productive plant forms its fruit in clusters, and starts bearing early in the season. 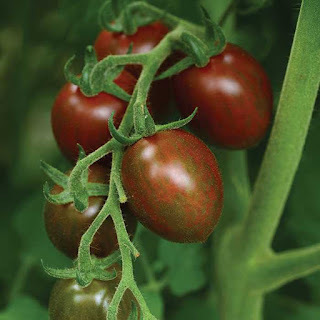 Support Chocolate Sprinkles Tomato with stakes or sturdy cage at planting time. Indeterminate plants produce abundant, thick trusses of the scrumptious, crack-resistant fruit. HR: F, N, TMV. How Hot is that Hot Pepper? Does the name Wilbur Scoville ring a bell? The only time I've heard this name is in reference to chili peppers. After a bit of digging and research, I learned that Wilbur Scoville was a pharmacist, a research scientist, and a notable author. He is famous for creating a scale that rates and detect the pungency of chili peppers. In Scoville’s method a specific amount of the peppers heat source, capsaicin oil, is added to increasingly larger amounts of sugar-water until a small group of tasters can’t detect the heat. This has been a tried and true method for decades but it is subjective and after a time the tasters can become desensitized to the capsaicin. Currently, and since the 1980's HPLC (high performance liquid chromotography) is used to evaluates the "spiciness" of chili peppers. This process separates, isolates, identifies and measures the concentration of the heat producing components of chilies. Personally, I love chili peppers. My family grew them and as a child, we learned to cultivate them for sale to many restaurants. I add Tabasco and Sriracha to almost everything I eat: pasta, meats, seafood, tacos, pizza and more. Last year, I grew 6 types of chili peppers and this year I plan to grow an equal number of new varieties. Read about my favorite one here. 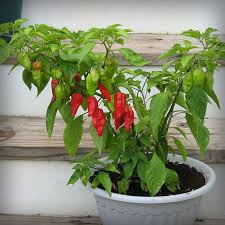 To my great delight and surprise, I found a ghost chili pepper plant at the Master Gardener plant sale this past weekend. In 2007, this pepper was named the hottest pepper in the world but has since been superseded but several others. At approximately 1,000,000 Scoville units, this chili is considered "nuclear." Originally from India and parts of Bangladesh, this chili has been grown for centuries but only made it to the US in the 2000's. I don't think I can actually eat this chili but I would love to grow it as a specimen to give away to friends and family who might want to add a super kick to their already spicy dishes. My ghost pepper is currently in a cold frame waiting for the nights to warm up before I plant it out in the garden. Notes about its growth and habit will follow in the upcoming months. Stay tuned! WARNING: Handle hot chilies with gloves and do not touch your eyes, nose or mouth after handling them. 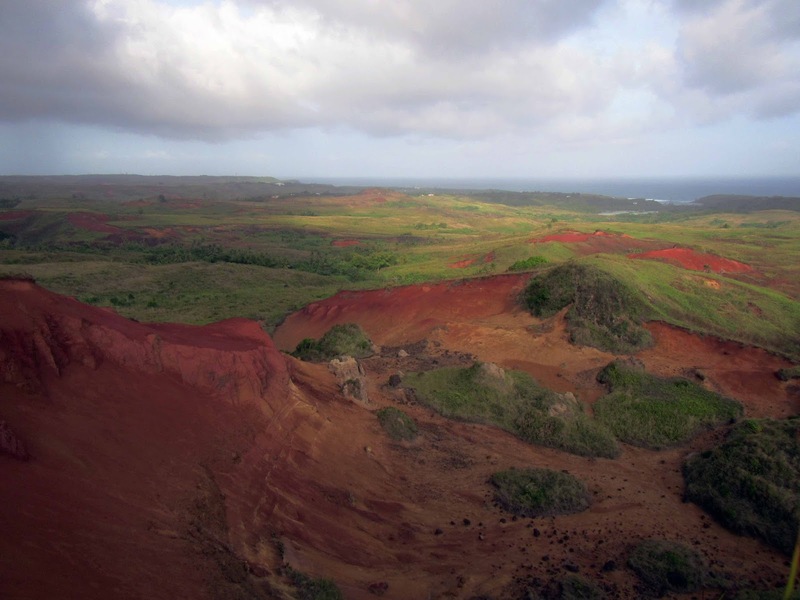 This photo from the internet is captioned "Red Clay Cliffs of Guam". I grew up on Guam and the red clay was everywhere. It was soft, slick and squishy under my bare feet after our tropical rainstorms. 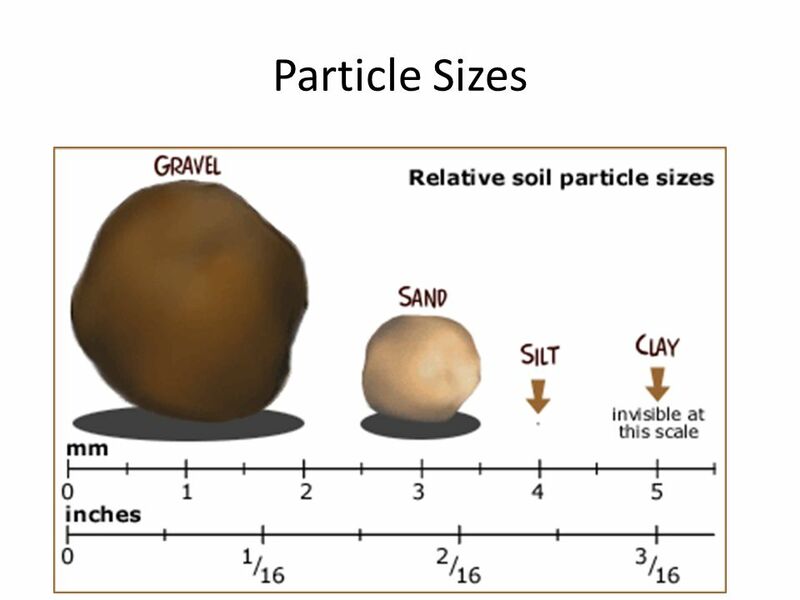 Clay is the tiniest soil particle. It is almost invisible to the naked eye. I'm not sure you can even isolate a single clay particle without the use of a microscope. Consequently, lots of clay particles can pack really closely together and form a horizontal matrix that allows them to have great surface area. This characteristic is what makes clay stick to well to itself. 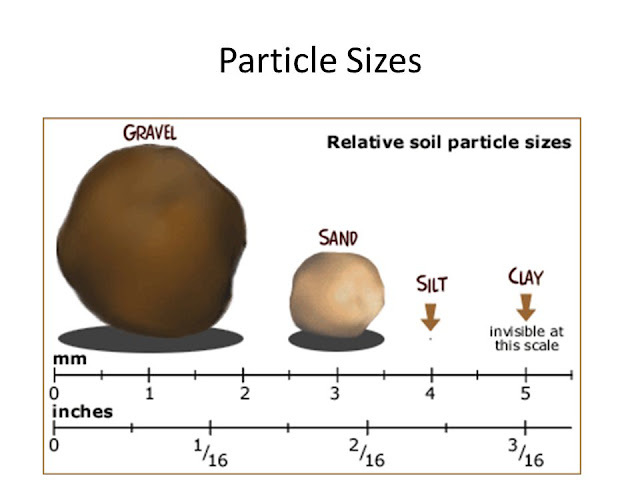 (Think giant hard clods of the stuff) However, clay does have a positive side, it is relatively fertile because its particles are negatively charged and thus, attract nutrients like magnesium, calcium, and potassium. As a master gardener, I have always repeated the mantra "the cure for clay is compost" this still holds true but there are many more things you can do to loosen up that hardpan clay. 1. Do not further compact your clay soil, do not work it when it is wet and so not step on it after you have worked it. 2. Add good compost or well-rotted manure to your soil and dig it in 4-6 inches. 3. Mulch your soil to prevent it from drying out and forming rock hard clods. Use leaves, straw or even cardboard. 4. Break up hard pan soil by planting daikon, parsnips and other deep-rooted crops. 5. Plant cover crops like fava beans or alfalfa, they have deep roots that will help break up clay then, you can till them into the ground in the spring before they go to seed, for "green manure." 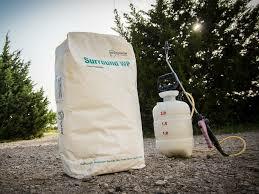 Amending and remediating clay soil is a multi-year process, tt takes time for the organic matter to do its work. As with almost everything in the garden, be patient, you reap what you sow.